This is my 5th year mentoring speech-language pathologists who are completing their clinical fellowship year, and I’m still working to become a better mentor. The most valuable part of this job is getting to meet 1:1 with SLPs, and having time to check-in and give feedback. Mentoring is a process – it’s important to both empower and advise, so that clinicians are confident in their skills after they complete their clinical fellowship year. Below are some tips that I’ve learned over the years that have helped me build my mentoring/supervision skills. 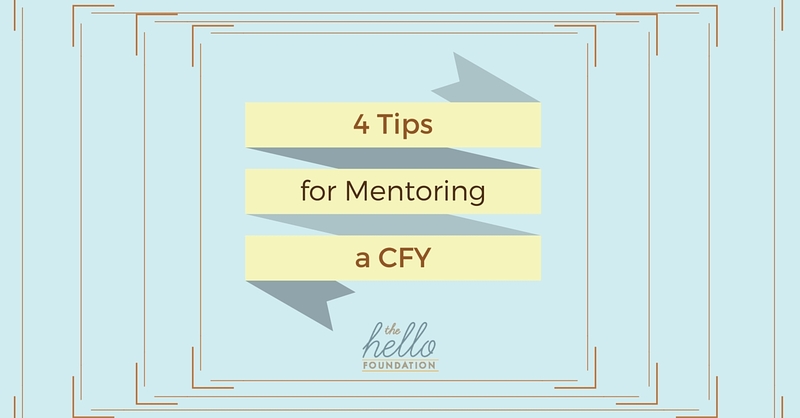 Mentoring is only part of my job at Hello, and, like all SLPs, I’m constantly making mental notes of what needs to be done – emails to be returned, reports to be written, lesson plans to be made. I always make an effort, however, to leave those thoughts at the door so I can give my undivided attention during our meetings. Being present helps me feel more effective at my job, and I am better able to help problem solve. The first year of being a “real” speech pathologist is stressful. As SLPs, we are often the only ones in our buildings, and there is little opportunity to share ideas or problem solve with other professionals who “get” what we do. Just listening provides an outlet and a feeling of being understood. Often, the clinical fellows I work with resolve their own issues just by having someone to talk to. 3. We are not know-it-alls, and that’s okay. Last week I found myself in a supply room with a flashlight trying to detect a submucosal cleft with a flashlight. One of the clinical fellows I work with was evaluating a student with nasal emissions, and she wanted my opinion before referring him to an otolaryngologist. Ahem. I’ve been working in the field for 15 years, and I can honestly say I have never worked with a student with a submucosal cleft, and I certainly have not seen one since looking at a grainy overhead slide in undergrad umpteen years ago. But, thankfully, there are endless resources online to refer to when we get stuck. “I’m not sure, but I will find out for you” was probably the line I uttered the most often during my first year as an SLP. So the clinical fellow did an online search, consulted with other SLPs, and then we performed our rudimentary examination. No submucosal cleft detected, but I think we were both proud of ourselves for trying! The wonderful (and difficult) part of our job is the lack a of manual on how to do our jobs. Every SLP will conduct an evaluation or target a goal in a different way, and one way is not necessarily better than the other. The important part is to continually ask ourselves “Is this working?” and then evaluate what worked and what didn’t. Speech/language therapy is dynamic; we are always striving for better sessions, and that’s what makes our job awesome. I’m always striving to be a better supervisor, too. Do you have any tips or hints for great supervision? I’d love to hear them in the comments, below!